Binder features a glossy, clear overlay on covers and spine that does not allow print to stick. Resists ink and toner transfer. Allows printed or personalized materials to be placed in front cover and spine. 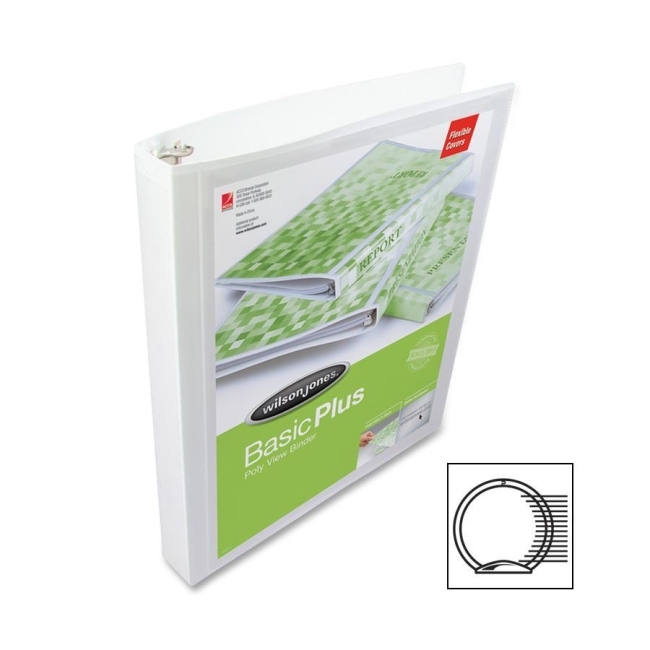 Binder with a smudge-resistant finish offers a flexible, lightweight, durable poly cover and one inside pocket with convenient business card slot.